Language as Art: The Art Museum Collection presents artworks that include words, lettering, or text as subject, an element of design, or to convey information. In the early twentieth century, the Cubists began using words in their work, and other artists quickly adopted this innovation. Words restored the nature of an object in Cubist paintings, when objects were deconstructed and reassembled in an abstracted form. The Pop artists however, were among the first to give words a central role in the mid-1950s. By utilizing imagery from popular and mass culture, such as recognizable advertising, comic books, and mundane cultural objects, these artists appropriated the words from logos and product labeling to challenge the tradition of fine art. Later, words became more important than the images, and the words replaced images altogether. The words, phrases, and sentences often refer to popular culture and act as verbal puzzles to employ philosophy and semiotics, and for political and social commentary. 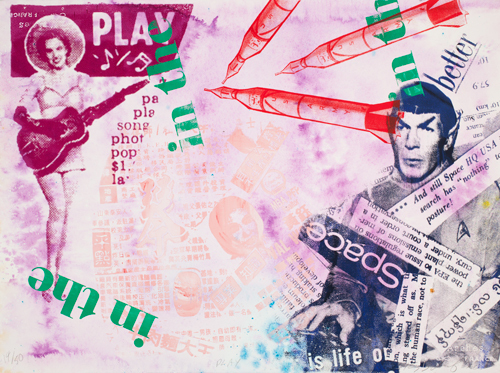 Contemporary artists continue the tradition to connect art to the everyday world by including abstract elements and familiar pop culture imagery with words, phrases, logos, and newspaper headlines that contribute to the composition. 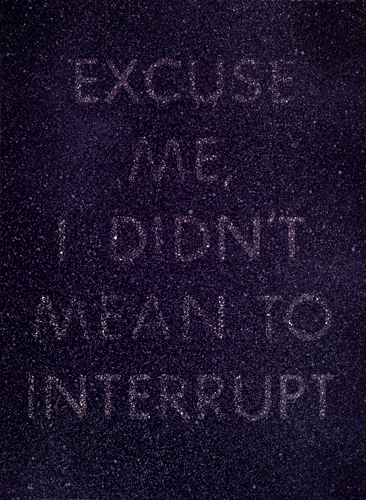 Word-imbued artworks included in Language as Art: The Art Museum Collection reveal the often strange, unsettling, humorous, and subversive results when words escape from traditional confines and begin to infiltrate the visual arts.